Marta Yegorovnam, a Russian woman living in the city of Petrozavodsk, has been keeping a secret for the last two years. 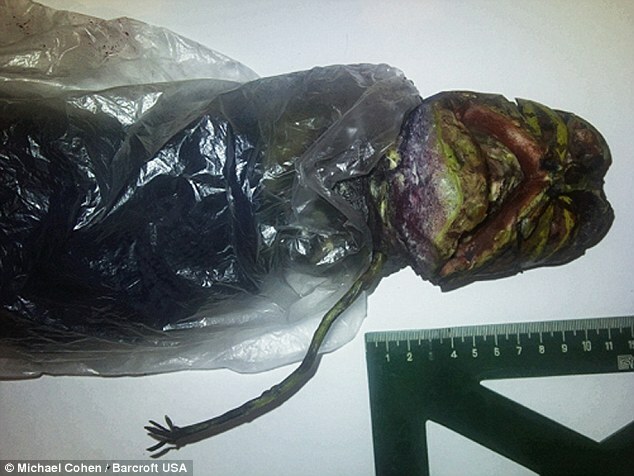 For the last couple of years, Mrs. Yegorovnam has been keeping the body of a small “alien” in her fridge. This is the third alien body sighting in Russia in the past few months. Marta reportedly retrieved the small ichthyic shaped body from a UFO crash near her summer-house in ’09. She heard the crash happen and then approached the flaming wreckage. 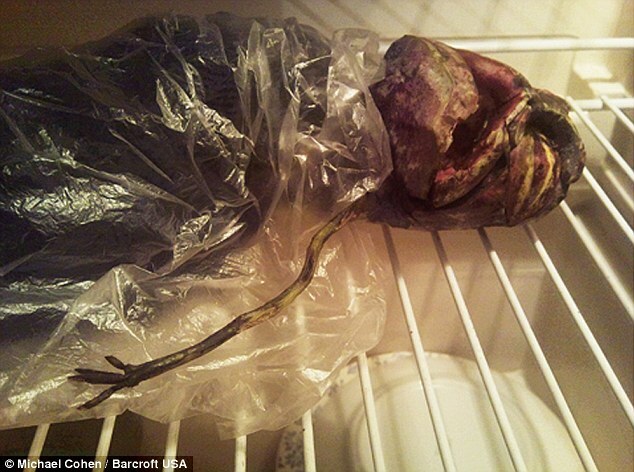 The found the dead body of the creature and decided to pick it up and package it up in plastic and preserve it in her Refrigerator. The “alien” is two feet long and has large head. Its appearance is something that reminds me of a baby Jaba the Hut, but it mostly looks vegetable. Of course this looks like a hoax, and it sounds like one as well, but what if it was true? I’m only passing along information that I have collected from a few of the sites I found this story on. There isn’t much news on this which feeds both speculations that its true and being covered up, or widely accepted as a hoax and already old news. Your choice.